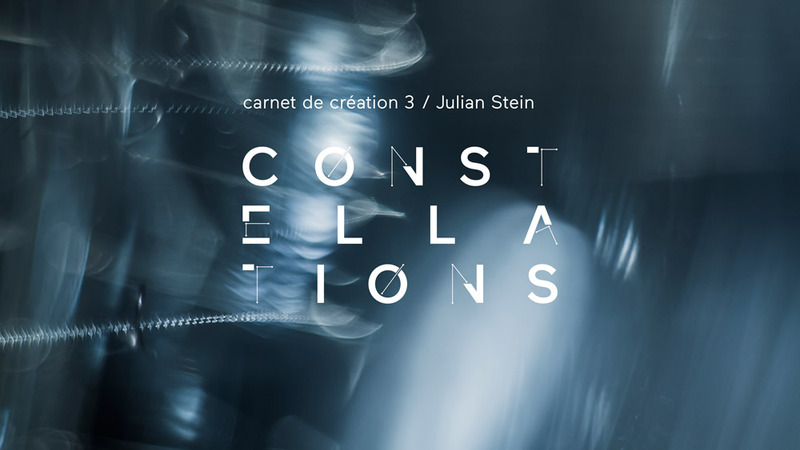 Cette troisième publication du carnet de création Constellations est consacrée à in levitation, lightness de Julian Stein. Cette troisième publication de notre carnet de création Constellations est consacrée à in levitation, lightness de Julian Stein. on the heaviest and smoothest of brass rings. were the whole round of heaven. in levitation, lightness (2015) is a work for brass quintet, electronics, and light producing snares, featuring variations on a theme in stasis. Presented in four parts, each is a reflection frozen in tonality, with rhythms intuitive. As the lights of radio towers, both rhythmic and communicative, red pulsations signal as beacons of light between the audience and performers. The snare drums, injected with the resonance of the brass via surface transducer speakers, form a noisy underbelly, a duality echoing the stable brass tones. Everything breathes and nothing is sudden, a balance through all aspects of the ensemble, a levitation in sound and light. Julian Stein is a composer and media-artist based in Montréal, QC, whose work ranges from instrumental and electroacoustic composition to collaborative performance and kinetic sound installation. Influenced by methods of audiovisual synchronization and the urban environment, his work focuses on intuition and present experience, demonstrating musical applications of the everyday in both composed and realtime environments. Julian is a co-creator of the Montreal Sound Map (www.montrealsoundmap.com), and has a BFA in Electroacoustic Studies from Concordia University. He is currently a research associate at matralab, part of the Hexagram Centre for Research/Creation at Concordia University.